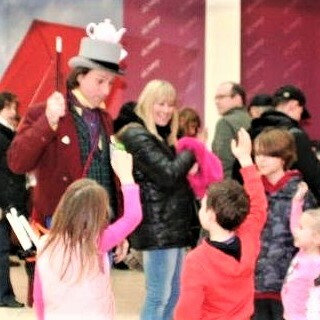 "Mad Hatter entertainer for events and parties"
"You're excellent. 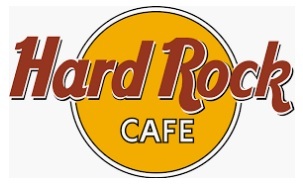 We'll definitely be booking you again." 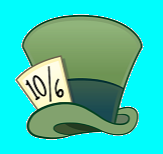 "You made the day extra special." 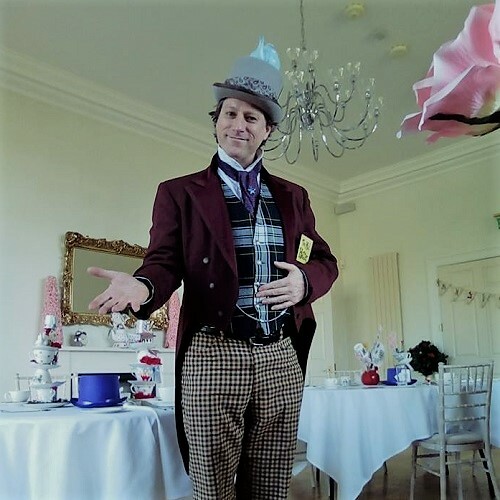 The Mad Hatter's mad magic tea party starts the minute the children walk through the door, with mad games, the Mad Hatters magic show, crazy balloon models and a whole Wonderland of fun and surprises that will have your little Alice's and Tweedledums grinning like a Cheshire Cat! Allin Kempthorne is an expert in children's birthday parties. He knows your little one's birthday is A VERY BIG DAY and will make sure it's very special indeed. 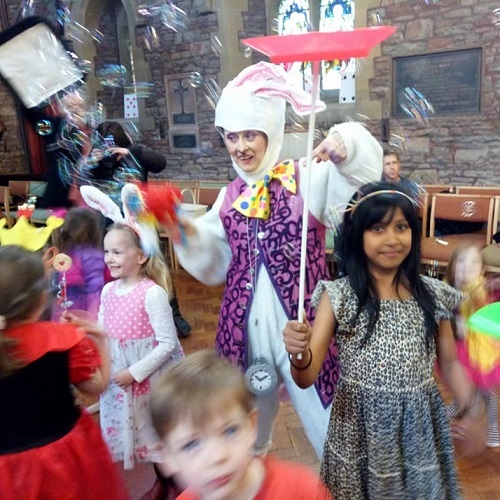 If you want your party to be a little bigger, we can also supply you with an Alice and also a White Rabbit to help with all the fun and games. 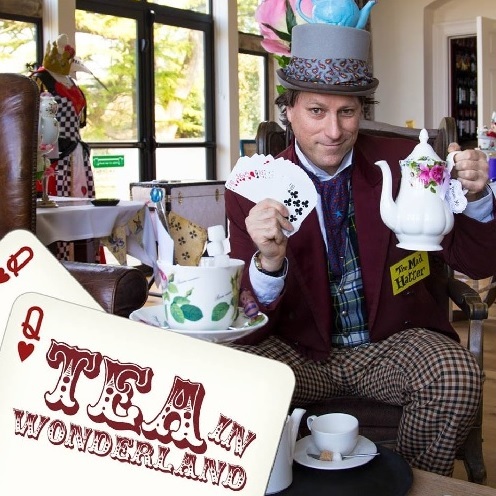 At Easter events and Alice in Wonderland themed promotions up and down the country Allin Kempthorne has delighted audiences at thousands of shopping centres, town fairs or corporate events. 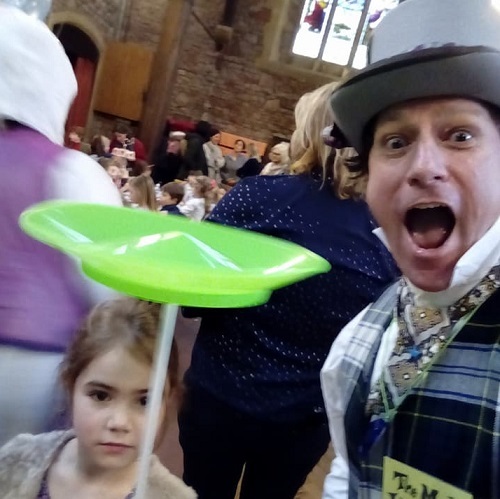 As a walkabout entertainer of 20 years experience he knows how to fit in any area, yet stand right out! 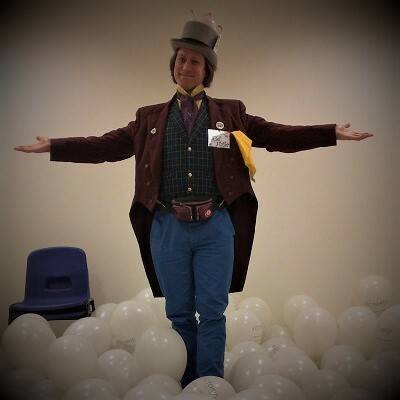 Balloon modelling, juggling and magic are just some of his skills. 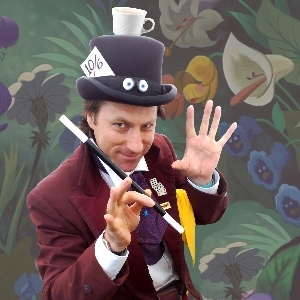 He knows how to compere an Easter Bonnet parade or a Wonderland fancy dress competition and he's great at drawing a crowd and creating a buzz. 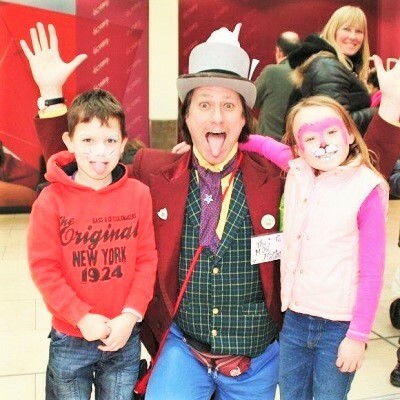 That's why Allin has entertained at hundreds of shopping centres across Scotland, England and Wales, plus special events at over 20 countries around the world. Ideal for amazing and entertaining your guests at your drinks reception, dinner, corporate event or wedding. 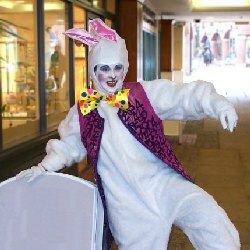 There's no need to get your whiskers in a twist about your Easter or Alice in Wonderland themed entertainment with our Funny Bunny! This lively costume character performed by Pamela Kempthorne is funny, silly and very eye catching. Ideal for Easter egg giveaways at shopping centres or playing games with the children at an Alice in Wonderland themed birthday party. The Funny Bunny is also available as a balloon modeller. 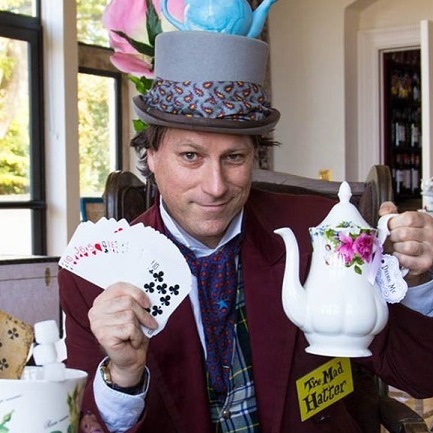 As The Mad Hatter, Allin Kempthorne performs lively, funny and fast paced magic shows from 5 minute spots up to a full 45 minute show. 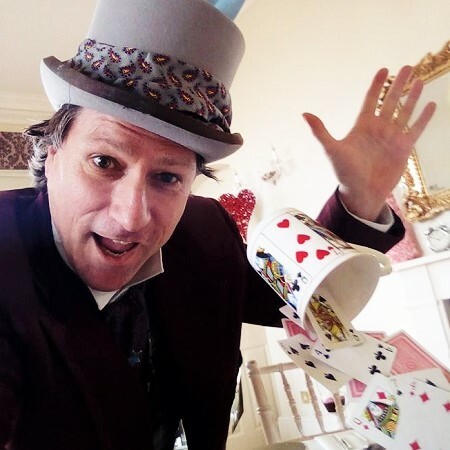 Giant playing cards, a mad array of hats and other Alice in Wonderland themed magic is mixed with other amazing tricks in a show that can be tailored to any environment from an evening cabaret, a festival main stage, a shopping centre or a street corner. 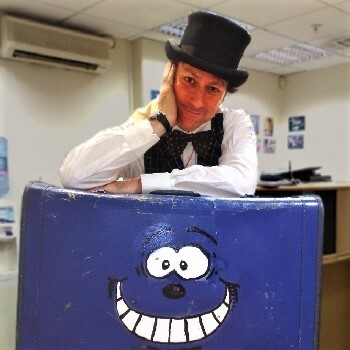 Allin has performed his stage magic shows at events and attractions, cruise ships, holiday parks and cabarets all over Europe.